Join our Chef Ambassador Rocco DiSpirito in our FIGHT against Hunger. WHY? Because we believe access to healthy food is a basic Human Right! Dining for Change is the Global Gift Foundation USA’s newest initiative with the goal of fighting hunger and providing access to healthy meals to those most in need. On Wednesday, September 20, 2016 restaurants across California will join together in donating total food sales from that evening’s dinner service to Global Gift Foundation USA's effort to fight hunger and advocate access to healthy food for all. 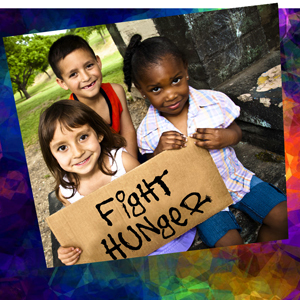 A social movement to fight hunger and provide everyone access to healthy food. GGF USA will unite our network of supporters and celebrity "Global Gifters" to encourage guests to make reservations and dine out at "Dining For Change" participating restaurants! Chefs and restaurants join our fight by signing up your restaurant TODAY! Simply email info@globalgiftfoundationusa.org for more details! ON ONE NIGHT WE UNITE TO FIGHT HUNGER! !